Selling your house? Your prospective buyers wouldn’t want to see leaky faucets and clog drains at the open house! 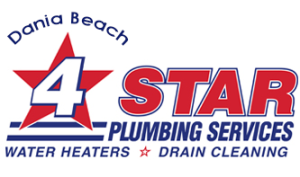 Help increase your Dania Beach home’s market value and make it move-in ready with a thorough overhaul of your plumbing and heating with 4Star Plumbing Services! Our technicians will help you figure out what needs repairs and replacements, and which installations can help raise your market value further with eco-friendly and energy-efficient heating systems. We are serving Dania Beach and its immediate environs including Weston, Pembroke Pines, Pompano Beach, Hollywood, Parkland, Coral Springs, Coconut Creek, Fort Lauderdale and its immediate surrounding areas. 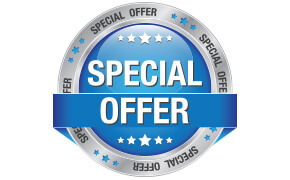 With 4Star Plumbing, you can rest assured that your repair and upgrades investment on your house will be well worth it. Our technicians are not only among the best and most highly-skilled in South Florida; they also continuously go through trainings to further their technical know-how, and to give you better services and make sure that you’re always satisfied. On top of that, our service staff comes complete with uniforms and identification from 4Star Plumbing, so you never have to worry about letting them into your family home. Whether you need plumbing services to improve your home, or you just need a quick emergency fix, trust that you can always call on us at 4Star Plumbing Services to give you the quality of service you need and deserve. Call us today at our hotline 954-776-9888 or leave us a quick service request here to schedule a visit from our plumbing professionals!